94. 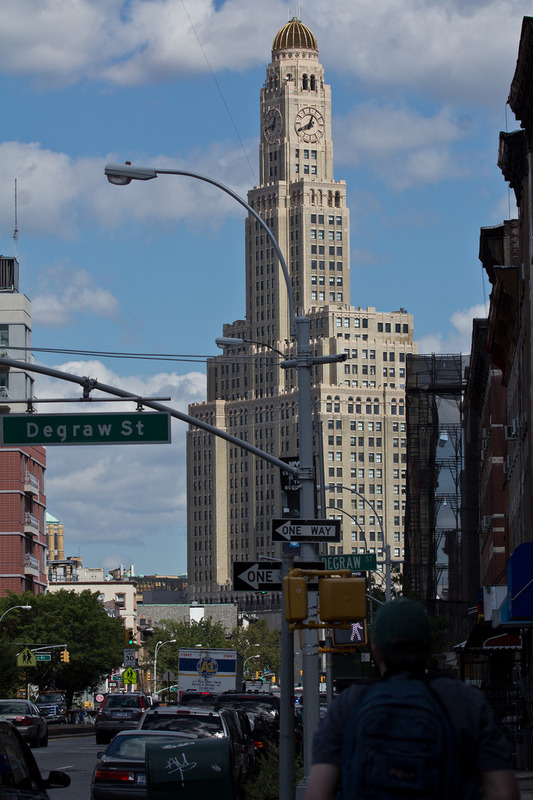 Foster a culture of conservation in urban neighborhoods. Most major cities are built along the shores of rivers, lakes, and oceans, where transportation has historically been simplest. Many birds follow these same waterways on their migrations, and a surprising number make rest stops even in the heart of large cities. Fortunately, many large cities maintain parks and other green space, and in enlightened areas, they provide opportunities for people to enjoy birds and other natural treasures. 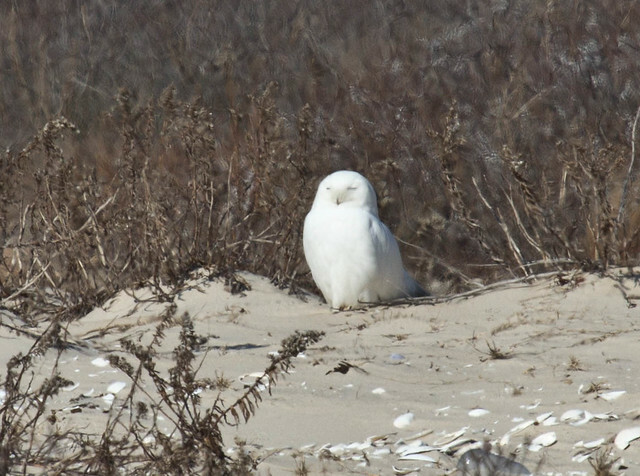 The first Snowy Owl I ever saw flew directly overhead as I walked on the sidewalk along Lake Shore Drive not far from the Chicago Loop. I saw my first Ban and Saw-whet Owls in Lincoln Park. 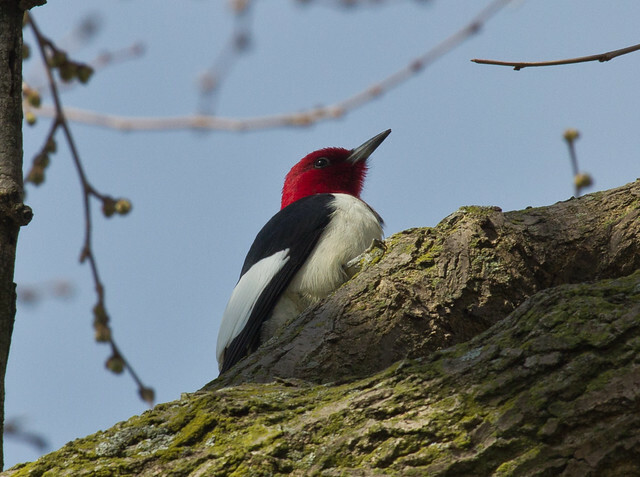 And as of this writing, the last Red-headed Woodpecker I’ve ever seen anywhere was spotted in Millennium Park. When I’m walking along the waterfront in downtown Chicago, I see fewer birders than joggers, bikers, and dog walkers, but our numbers are increasing. Volunteers in Chicago, as in many other cities, now comb downtown streets in early morning during migration to pick up birds injured by windows the night before; they maintain Peregrine Falcon nest platforms on buildings and find other ways to enhance the urban world while helping millions of people coexist with wild birds. In New York City, people like Deborah Allen and Robert “Birding Bob” DeCandido lead birding excursions by day and monitor bird migration at the Empire State Building by night. Because of their dense populations, cities often initiate basic conservation measures long before suburbs or rural communities do, in an effort to deal with pollution, water shortages, and power outages. Congestion and auto emissions lead cities to adopt efficient public transportation options and to encourage carpooling long before suburbs do, and cities usually develop and encourage people to use bike paths, too. Many cities now encourage building owners to develop “green roofs.” Buildings in urban centers cover a huge percentage of total acreage, and when their rooftops (especially asphalt) are left bare, they can heat up the landscape to unbearable levels. Green roofs are much cooler and absorb many pollutants while producing oxygen. They’re also much more attractive, often providing outdoorsy retreats for high-rise residents in the middle of what appears from the street to be a concrete jungle. As cities adopt more conservation initiatives, even if they do so for practical and aesthetic reasons rather than to promote bird conservation, more people are discovering the benefits of conservation for their pocketbooks, their personal welfare, and their communities. As an added bonus, the birds we share our world with benefit, too. When we encourage the conservation of resources, guard against pollution, and work for habitat improvements, we make cities more livable for everyone. And if a growing culture of conservation in our cities slows migration to the suburbs and beyond, it has a direct impact on wild areas at the edges of sprawl. Quality cities are the key to preservation of wildness.